A story centered on an affair Howard Hughes had in the late years of his life with a younger woman. Centers on Hollywood's first wunderkind studio executive in the 1930's, Monroe Stahr, and the power struggle between him and his mentor and current head of the studio Pat Brady. A young woman is dealing with anorexia. She meets an unconventional doctor who challenges her to face her condition and embrace life. A young girl named Mija risks everything to prevent a powerful, multi-national company from kidnapping her best friend - a massive animal named Okja. Lily Collins Daily is a non-profit fansite, made by fans for fans of Lily. 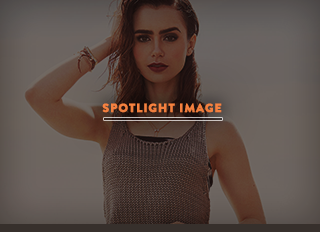 We are in no way affiliated with Lily Collins nor any of her family, friends and representative. We do not claim ownership of any photos in the gallery, all images are being used under Fair Copyright Law 107 and belong to their rightful owners. All other content and graphics are copyrighted to daisy-ridley.net unless otherwise stated. No Copyright Infringement Intended. If you would like any media removed please contact us before taking legal action. Hello! Lily was spotted leaving the gym in West Hollywood.